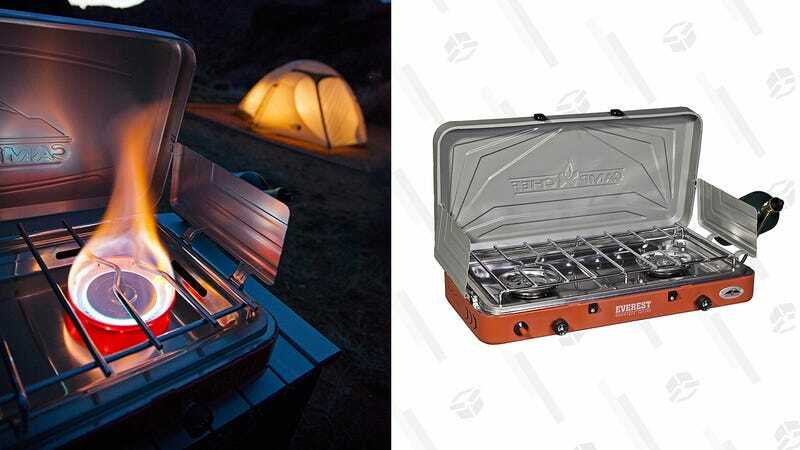 Fire up this this discounted high-output Camp Chef propane stove on your next camping trip. This model would typically set you back around $100, but it’s just $80 right now on Amazon. It has two burners and three wind-protection barriers that will make sure the fire stays lit. When you’re not using it, it folds up like a suitcase, so it will be easy to transport.